Life has always been very unusual and completely unexpected for me most of the times. So that is the reason I am always ready for any situation. But one thing I have always learnt from my experiences is that never ever give up. Not always life gives us second chance, so why wait for it when you can do it in the first shot. 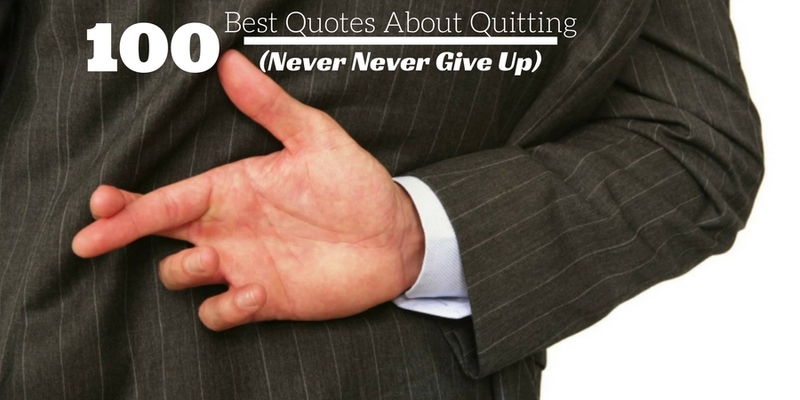 Most of the people always fail when they reach nearby to their goal and decide to quit. No one knows what life has planned for you so quitting would be one of the worst decisions you would ever make. Here are few exceptional quotes for boosting your confidence that help you to never quit and help you to achieve your dreams successfully. Start with one of my favorite quote which is.